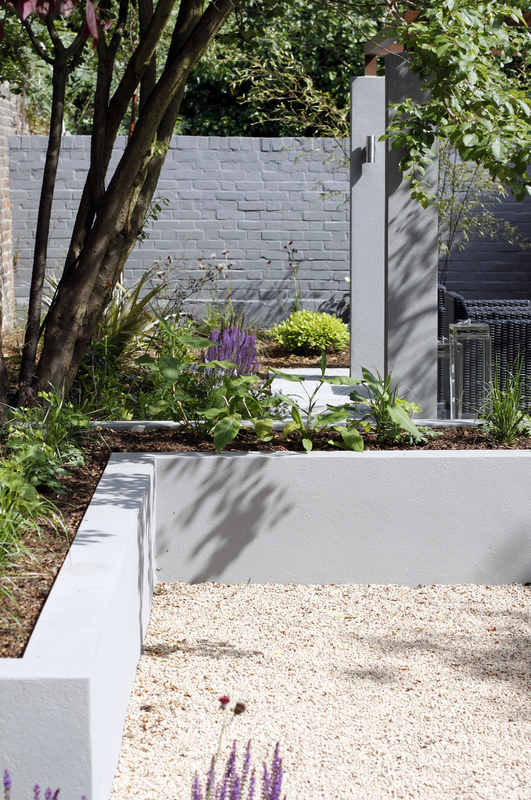 This contemporary garden design in Leytonstone, East London transformed a previously overgrown and dark space that was dominated by a large Conifer tree. 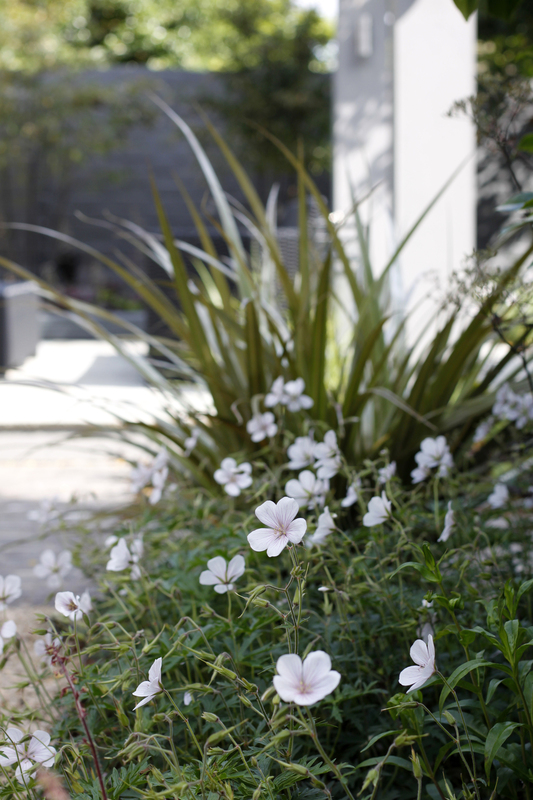 Our brief was to create a contemporary garden for socialising with a strong focal point that would draw family and friends out into the garden. The horizontal linear design, works with the generous width of the garden to create a series of spaces designed for entertaining and relaxation. 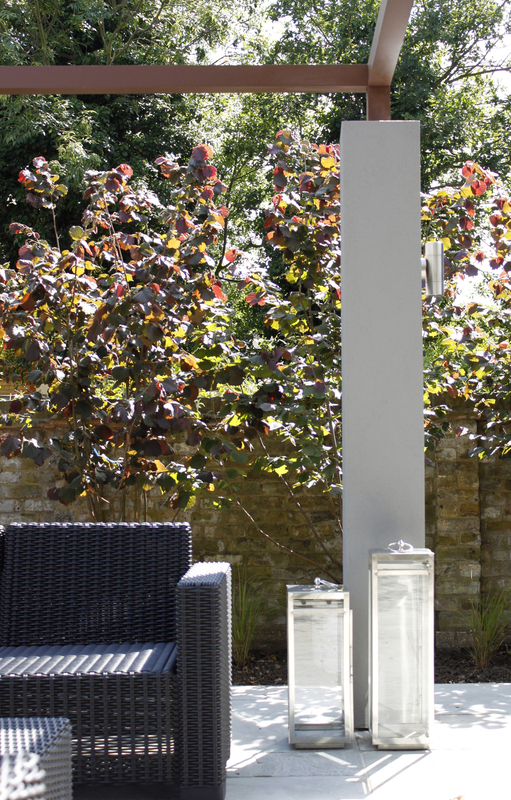 A large dining terrace close to the house overlooks a Corten steel water feature and textural brick on edge paths lead to a bespoke pergola at the rear of the garden which provides the social hub the client had wished for. 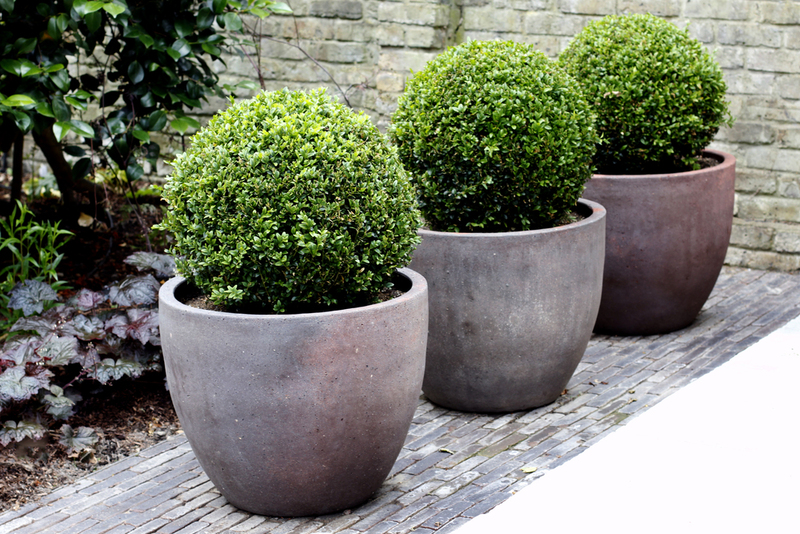 A planting palette using dark foliage, dynamic forms and soft purple flowering plants enhances the contemporary scheme.